One of my favorite memories in youth ministry was taking my students up to Boulder, Colorado over the summer to work with teenagers and kids on the street. We would take a group of our leaders to learn how to love people like Jesus would in the most difficult situations. When we arrived in Boulder, we did not immediately go into working with the street kids but rather spent a couple of days slowing down and really preparing for what was to come later in the week. Usually we did what was called a “Turf Tour” around downtown Denver to really understand the plight of those caught in the darkness of drugs and living on the street. One of the key experiences in the tour is walking through a six-foot tall drainage tunnel that empties into the Platt river originating somewhere underneath downtown Denver. 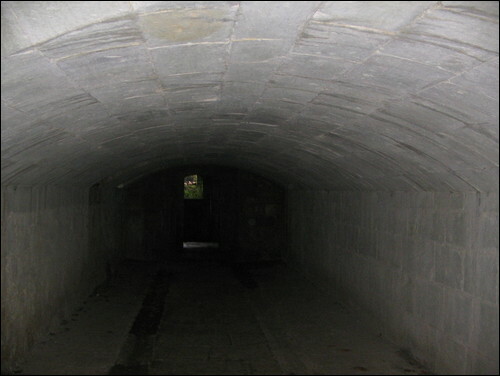 This particular tunnel is a place where street kids go to use drugs in a place were they won’t be bothered. Benny (the lead pastor of Sevens) encourages us to follow closely behind and notice what we are feeling and seeing. After he makes sure the coast is clear, everyone files into the tunnel and walks at an uncomfortably slow pace deeper under the city. You notice as the light fades, also the and graphitti and other wall art fades as well. We would walk for what seemed like an eternity. Looking back, all you can see is a pinprick of light from the end of the tunnel. The darkness is crushing in that place. This is where so many retreat from their own hells to embrace yet another one in drugs. While you are there, you understand this as a place you both hate but know you need to be. We always pray while we are under the city. We pray for those who find this place of darkness as a home. We pray for Jesus to walk these tunnels and dark corners to find those trapped in the darkness. But when you zoom back, it seems a little risky to take teenagers in a drainage tunnel underneath the city of Denver. In fact, I received some criticism about taking kids on the streets of a city to do ministry as being a little too risky. Many families would not send their students for fear something might happen to them or they might hear a cuss word. However, as uncomfortable as the walk into the tunnel might have been, I never felt fearful. You know why? Benny had been there before. He knew the way. Before we ever came to Denver he was doing ministry on those streets and in those tunnels and he knew the darkness. The thing is, followed Jesus into those places. Because we forget that Jesus walked into the darkness and faced it. He stared down demons, ate with sinners, and ultimately felt the weight of all of the darkness of sin on his shoulders as he died on the cross. You see, we face the darkness of life because Jesus did it first. He showed us how to do it. So, we face the darkness because Jesus did it first. And because He did, we not only face it but we walk into it carrying light. THis is how we follow Jesus into the dark.